Will The Batman Finally Begin Shooting Next Summer? Matt Reeves’ The Batman could begin filming as soon as next summer if all goes according to plan. Warner Bros. is reportedly very happy with the first draft of the script that Reeves has written and they want to get the film into production by next year, which is a bit surprising since we still don’t know who will be portraying the Dark Knight in this new movie. Ben Affleck was at one time attached to write, direct, and star in the project, but his involvement is now a mystery. 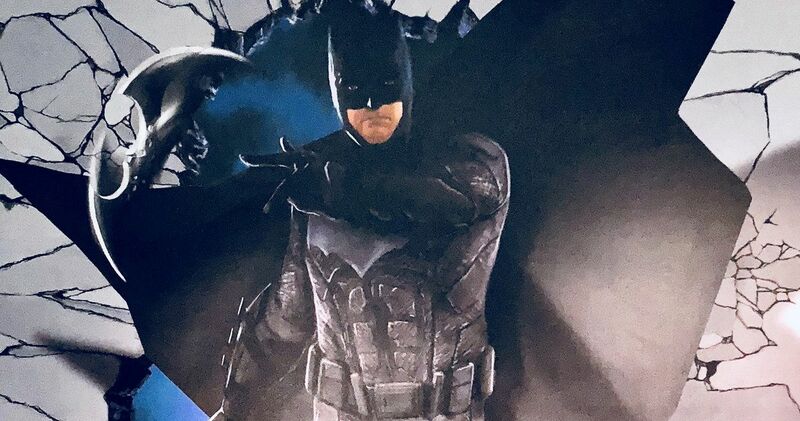 Sources say that Matt Reeves is in the revision stage on his finished script and that Warner Bros. is “committed” to getting The Batman right. If the movie intends to begin filming next summer, we should get some casting news relatively soon. However, this project has been one of the more mysterious ones within Warner Bros. and DC Films. There were originally talks that The Batman was going to take place outside of the DCEU and then it was later revealed that it was going to take place within the DCEU, and now it’s just not clear what’s going on. It’s also important to note that this information has not been officially confirmed at this time. Earlier this month, it was reported that Henry Cavill was leaving the Superman role behind while Warner Bros. and DC Films set their eyes on making the Supergirl movie. Since then, the rumors that Ben Affleck will jump ship as well have become more frequent. Neither the studio nor Affleck have confirmed or denied that he will be returning for The Batman. Whatever the case may be, fans are starting to get anxious about how Matt Reeves’ film will turn out and who will star in it. Warner Bros. also has Todd Phillips’ Joker, which is currently filming in New York City. Joaquin Phoenix stars as the titular character and the movie is set outside of the DCEU, which will give a different kind of superhero story, according to Phoenix. Matt Reeves could end up getting to do the same thing with The Batman, and there have already been rumors that he is looking for a younger actor to take on the role. DC Films currently has several films in development that take place within Gotham City, but no Batman to make an appearance. If The Batman ends up filming next summer, DC fans could expect to see the movie by 2020. However, there are a lot of variables that will need to be figured out before the production begins. Obviously, an actor is going to have to be chosen. Mad Men star Jon Hamm has expressed interest in the role, and just recently said that rumors indicating that the studio wants him are “exciting.” For now, we’re just going to have to sit back and wait to see what Warner Bros. and DC Films decide to do. This new was first revealed by Umberto Gonzalez’s Twitter account.